McKay, Elizabeth N., 91, of Cranston, passed peacefully Friday (11/4/16) at the Philip Hulitar Hospice Intake Center. Born in Paducah, KY, a daughter of the late Joe and Willie (Hart) Diel. She was the wife of the late George McKay. Mrs. McKay was a jewelry worker before retiring in 1985. 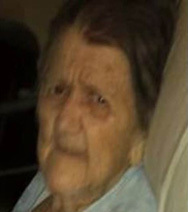 She leaves 2 sons; Henry Therrien of Johnston, George Therrien of Warwick, 3 daughters; Delia Marseglia of Sarcoxie, MO, Lina Clark of Warwick, Rose Woods of Cranston, 14 Grandchildren and 14 great grandchildren. She was mother of the late Ambrose Therrien and brother of the late O. J. Diel. Her life will be celebrated with calling hours Sunday from 5:00pm to 7:00pm in the Stapleton Family Funeral Home, 684 Park Avenue, Cranston. Funeral Service Monday at 10:00am in the funeral home. Burial will be in RI Veterans Cemetery, Exeter.